Google overhauls privacy protection in its latest Android build. Android P, Google's next iteration of its mobile operating system, is getting quite a handful of new features, some of which are designed to protect users, their data and their privacy. This one, however, is bound to raise plenty of dust – the OS will block idle apps from using the microphone, the camera or the device's sensors. So, if an app is running in the background, it won't be able to record any audio, video, or gather data from devices such as the gyroscope or accelerometer. 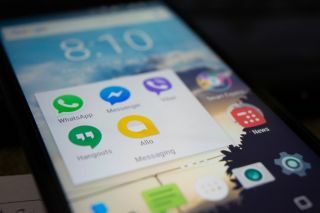 Those apps that 'legally' want to use such features will need to have an icon in the notifications bar, informing the smartphone owner that they're being recorded. Those apps that wish to do this silently in the background, without the owner's knowledge, will have a rough time. Another major change is in the way data sent to the Google Cloud is being encrypted. Until now, all data is encrypted by Google in a way that the company can still access it. As of Android P, the encryption will come with a client-side secret. There's a bunch of other features coming to Android, like the system navigation that awfully resembles the iPhone X, or machine learning to help you save battery and make better photos. So make sure to check out Google's full blog post on this link.